My students are going to love this one. I have many current and former students who are thirsty for any dystopian novel and have read them all. 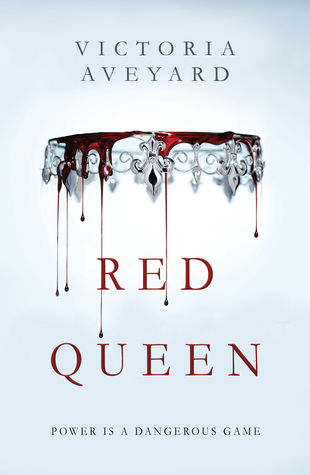 Add Victoria Aveyard's Red Queen to the list. Mare Barrow has always been one of the unfortunate ones, a Red in a world where the Silvers rule with their special powers. 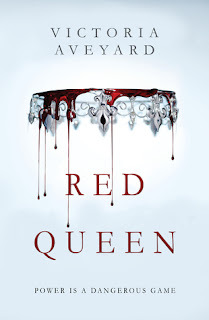 When a series of events expose her as a Red with Silver abilities, she learns that no one can be trusted and anyone could betray her. Yes, there are many similarities to the dystopian novels that came before: the hometown best friend who is the soulmate, forbidden love, a girl who rises from something to nothing...but it's ok. It works and once the reader gets over it, they enjoy the book and eagerly anticipate the rest of the trilogy. I know I do.